The horse’s limbs continually hit the ground with a degree of force, this controlled level of stress actually helps to strengthen the joints, but riding with a moderate to heavy exercise regime and competition can expose the horse’s joints to a continuous, unnatural amount of stress. The showjumper feels the force of landing through their legs and dressage horses regularly stretch their joints to maximum capacity. 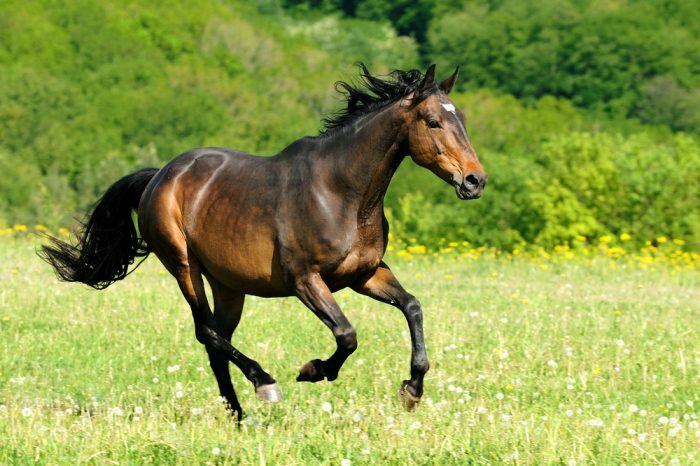 Consequently, many horse owners and riders choose to supplement their horse’s diet with additional joint health products, but with a vast array of feeds, products and supplements on offer, planning the equine diet can become a bewildering choice! Why feed a joint health product? Joint mobility can vary in all ages and breeds of horse and pony and may be a continual concern for owners, especially those who implement a heavy exercise routine with regular competition and stress to the joints. A wide range of joint health products are available, often containing substances that naturally occur in the horse’s body, helping to improve mobility and flexibility, in turn benefiting the overall health of the joints and the horse’s freedom of movement. The first part of the joint to suffer as a result of stress is the cartilage, a protective layer surrounding the joint. Repeated high pressure can wear away the cartilage, leaving it thin and rough, also leaving the horse with joint pain, so glucosamine is commonly used in joint products to help support the function of cartilage. Glucosamine is a glycoprotein present in the joints and is an essential, natural component of ligaments, tendons, cartilage and synovial fluid, which is the liquid shock absorber for lubricating and cushioning the joints during exercise. Glucosamine is not found naturally in any food sources, so including a glucosamine based joint product helps to keep the cartilage in the joints lubricated and healthy, in turn supporting the function and movement of the joint. Glucosamine levels also decrease with age, so the older equine may enjoy increased joint comfort and freedom of movement with the inclusion of additional glucosamine. MSM is a naturally available source of organic sulphur that it vital to the healthy function of joints, as it is necessary for the correct synthesis of amino acids, vitamins and chondroitin sulphates, which are in turn responsible for supporting joint lubrication. MSM also supplies sulphur for the healthy function of the connective tissues, tendons, bones and hooves. However, MSM is often destroyed during the feed manufacturing process, when exposed to heat or air, so horses with limited access to grazing of with diets heavily reliant upon processed feeds may be deficient in this vital compound and will rely upon additional products to top up. Supplementary joint health products can help to support joint healthy and in turn promote better mobility and flexibility. The inclusion of glucosamine helps to support the body’s natural ability to lubricate the cartilage within the joints, acting as a cushion and shock absorber during exercise and reducing the levels of unnatural stress placed on the limbs and joints. Glucosamine levels decrease with age, so the older equine may benefit from additional support. MSM is often included in joint care products, supporting the synthesis of the amino acids and vitamins responsible for joint lubrication, as well as the movement of the tendons and connective tissues. Glucosamine and MSM work well when combined to support the health of the joint and connective tissues.